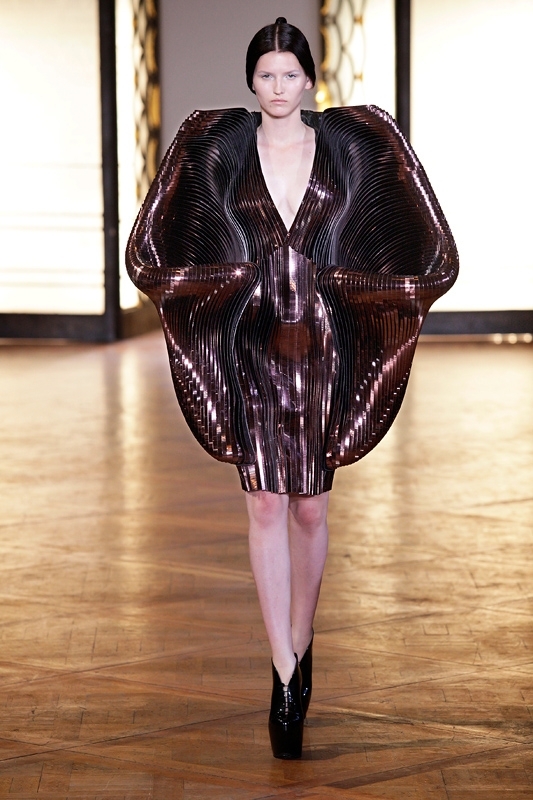 With each collection, Dutch designer Iris Van Herpen refines her obsessively intricate designs laced with handcraft and manipulated with technology. 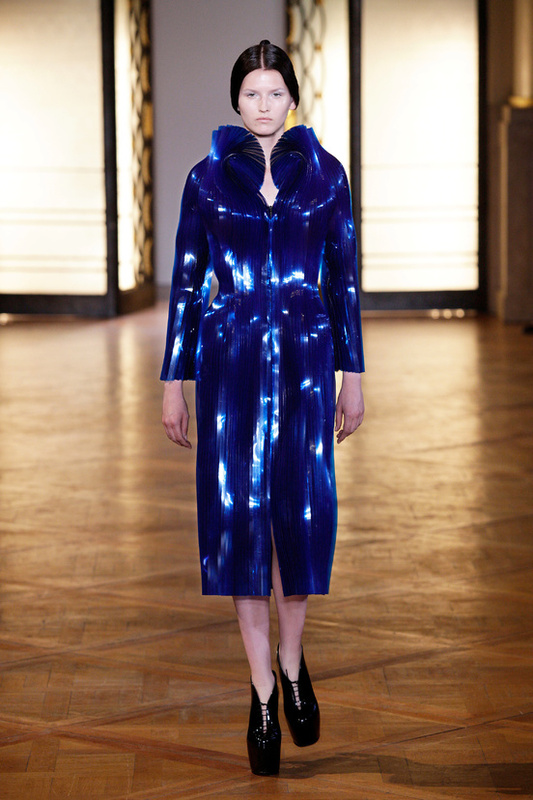 Her latest collection “Hybrid Holism” was inspired by the “living” architectural work of Philip Beesly. 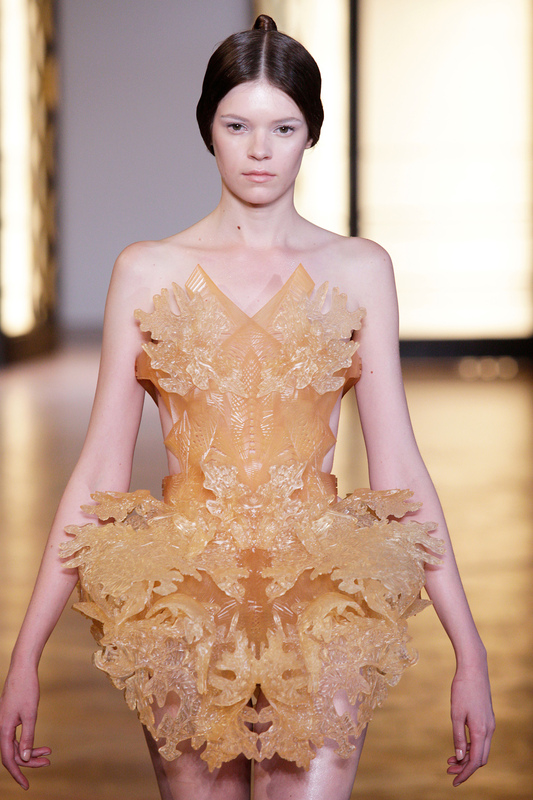 The showstopper though is a 3D printed dress that looks like its been carved and sculpted out of wax. The details are just beautiful. The dress was a collaboration with architect Julia Koerner.